There’s so much more to discover underwater. You just need to know what you’re looking for, and how to find it. 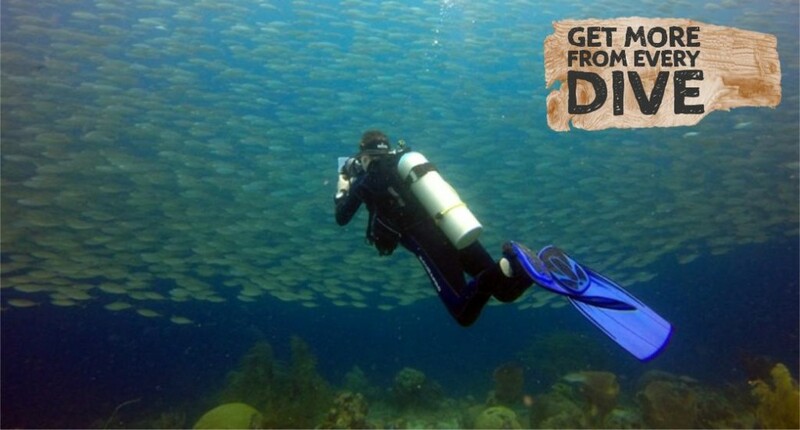 You’ve already experienced the thrill of exploring some of the underwater world. You already know and understand basic dive theory and safety, and you’ve already mastered your basic scuba diving skills. And by now you already know that there’s a lot more for you to discover. Especially in the stunning blue waters of the Caribbean ocean, home to thousands of fish, critters, corals, plants and adventures, just a few steps away from Curacao’s shores. So whether you’re looking for new dive adventures, to improve your scuba skills and dive easier, better and for longer or to simply keep on discovering, there’s a PADI dive course (or 3) with your name on it, and a smiling Dive Bus PADI Instructor waiting to show you how. If you're a PADI Advanced Open Water diver with 20 logged dives, the PADI Rescue Diver will build your confidence and dive skills like no other dive course will. If you're a PADI Rescue Diver with 5 PADI Specialty certifications and 50 logged dives, you've earned this prestigious rating.